I have been so busy recently, I forgot to sit down and write out this blog post! I wanted to write it out to remember all the amazing things that happened that day. 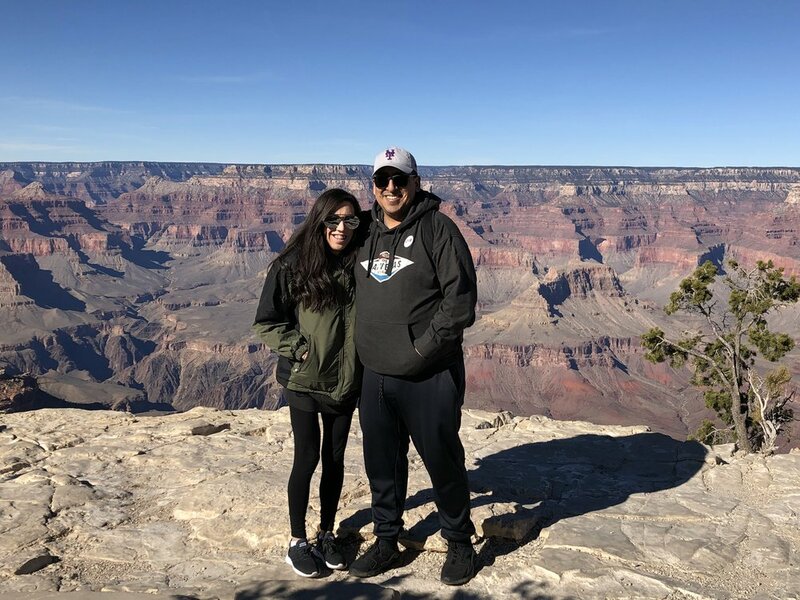 My boyfriend and I were lucky enough to experience the Grand Canyon together. If you have never been, I highly recommend putting it on your bucket list. I had been once before with family and this experience was totally different. 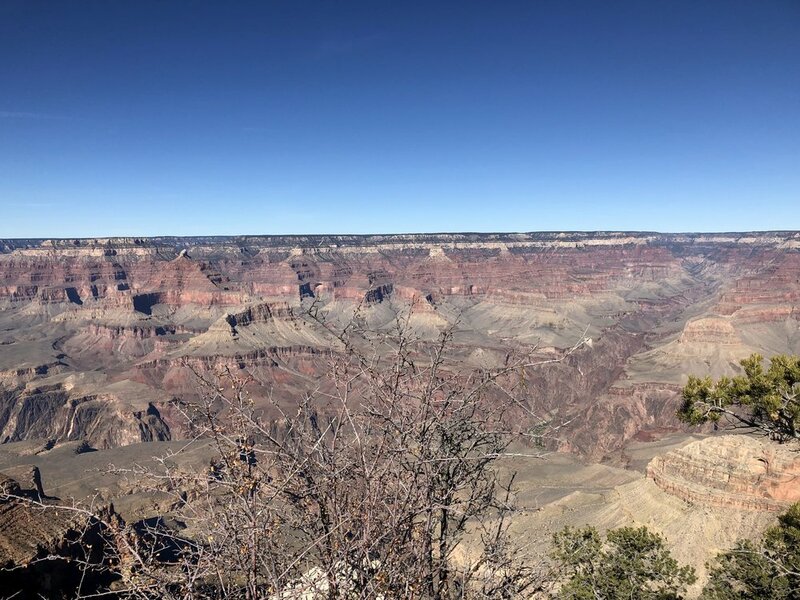 I got to see a different part of the canyon. I also learned a lot about it, more than I remember learning the first time around. It was truly a memorable experience. I would recommend doing the hiking trail, you see everything at your own pace. You are also able to stop, look out and take a lot of pictures. My boyfriend and I were also able to FaceTime family back home who have never been. It was a great experience because it felt like they were right there with us and taking it all in with us! However, if you go in November when we went I would highly recommend bringing a sweatshirt or jacket. It was not super cold (maybe because I am from New York and used to the cold weather!) but it was chilly. I did end up buying a jacket to keep me warm (photographed in the photos) I also do want to say that going as a couple it was very hard to capture the picture photo of us together. People were so nice and a handful of people offered to take our pictures and we actually got some really good ones! 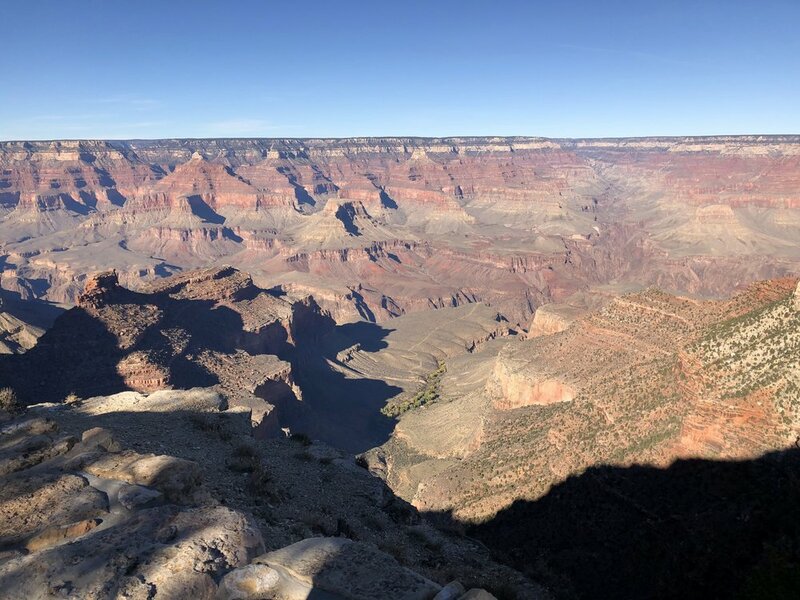 We were with a tour bus, while it had its advantages I felt like if we had been by ourselves we would have been able to see a lot more of the canyon! I have linked down below all the info from our day trip, I hope it will help you all out for a future adventure.